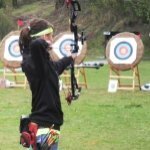 I am 12 years old and am interested in archery but don't know if I should get 28 inch or 30 inch arrows or another size. What size arrows should I get? Comments for What Size Arrows? 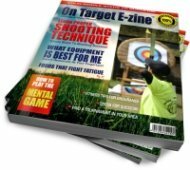 Please read our page on arrow length for beginners. It will get you started in the right direction so you know what arrow length you should start with. Once you know how long your arrow will be and you know what your draw weight is you can choose the proper size (spine) arrow. If you subscribe to our RSS feed you will be informed when the arrow spine page is available (coming soon). If you prefer not to subscribe to our RSS feed, you can visit our website often and hit the "What's New" link.